Most large employers offer a wellness program, but Gallup research shows that only 60% of U.S. employees are aware that their company offers a wellness program. This disconnect illustrates the need for improved wellness communication. When it comes to employee wellness, communication makes all the difference. Effectively communicating about your program can help drive engagement. Improved engagement leads to improved results. So it’s true that wellness communication is worth your time! 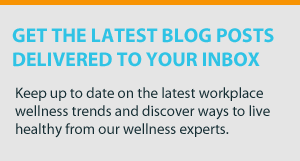 To help you get started in developing a strategic wellness communication plan, we’ve put together a comprehensive toolkit filled with great wellness communication resources. 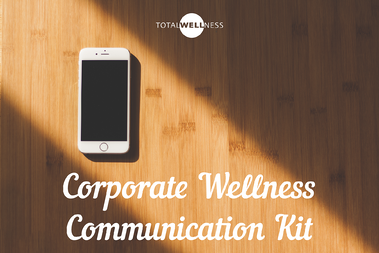 The toolkit outlines the role communication plays in corporate wellness. Download it today to learn how communication can be used to explain, educate, excite and remind your employees about your wellness program. The toolkit offers some great tips and tricks to ensure all of your wellness communication is effective. Learn the best ways to craft effective messages, to utilize proper timing and to develop a communication style. A toolkit wouldn’t be complete without some easy-to-use resources. We’ve put together some templates you can download for use in your wellness program. Use them as-is, or update them to fit the needs of your program. Take the time to focus on strategic communication about your wellness program. It could make or break your success! Download our communication kit today and get the conversation about wellness started. How do you communication about wellness where you work?